Getting setup for the 2019 chase season, but can't seem to install the Windows Client on my new Windows 10 laptop from the web site - I get this error message <see file>. 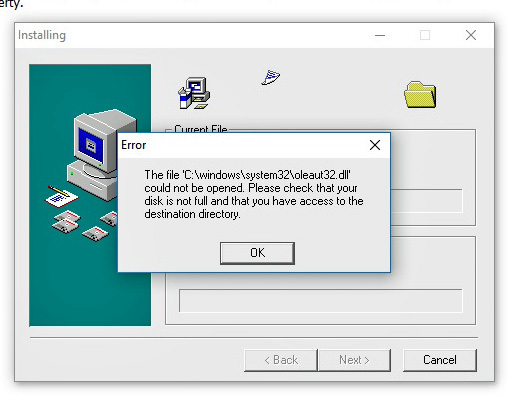 The Client installed quite happily from an older .exe file I had stored on the previous machine, version 3.0.9 - but when I open it, although it works fine, I'm getting the suggestion to upgrade to version 3.1.4 - but when I do that I get the same error message again. As far as I can see I have the same administrator privileges on both machines for Program Files <x86> and 3.1.4 installed quite happily on the older Windows 10 machine. If both Windows 10 machines are on the same version, then it likely is a rights issue. I assume you right-clicked and selected 'run as administrator' for the install?